Out of floo powder and gearing up for a long trip on the road? Add a little Harry Potter flair to make your next road trip go by faster than a year at Hogwarts! No road trip is complete without a stockpile of good snacks to get you through a long drive. Proper snacks give you the energy to deal with the muggles on the road and work to keep you awake when that wakefulness potion just isn’t doing the trick any more. Load up on chocolate frogs, pumpkin juice, butterbeer, and Bertie Botts beans. You can even make your own pumpkin pasties if you’re feeling ambitious! With all of these snacks, you’ll feel like you’re right at home on the Hogwarts Express. Need storage for your snacks? Grab a Skiving Snackbox to hold them all! Passing the time on a long road trip can be daunting. The road can get so dull that you’ll wish you could just apparate or ride a thestral to your destination. Pass the time with Harry Potter games! Turn an old road trip favorite, I Spy, into a Harry Potter version! Name a color and have your friends try to guess what thing from the Wizarding World you are thinking of. Give a category such as creature, magical item, or wizarding food to help narrow down the options. Merlin knows we need some humor after hours of being stuck in a muggle automobile. To ease the tension, crack some Harry Potter jokes! There are loads of great websites stocked full of hilarious Harry Potter jokes. Hop on Google to find the appropriate jokes for your party (“Harry Potter jokes for kids,” “raunchy Harry Potter jokes”). Ravenclaws will appreciate this suggestion. Crack open your favorite Harry Potter book or begin the entire series over again! There are loads of other great books from the Wizarding World too. Diving into the Wizarding World is the perfect way to pass the time. Adventuring with Harry and the gang will makes hours go by in minutes. Driving? Try the Harry Potter audiobooks! 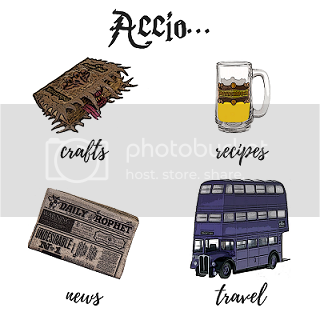 If you liked this article, be sure to check out Simply Potter on Facebook and Instagram for the latest happenings in the Wizarding World and subscribe below for Harry Potter goodness straight to your inbox! Previous articleHarry Potter Easter Baskets!